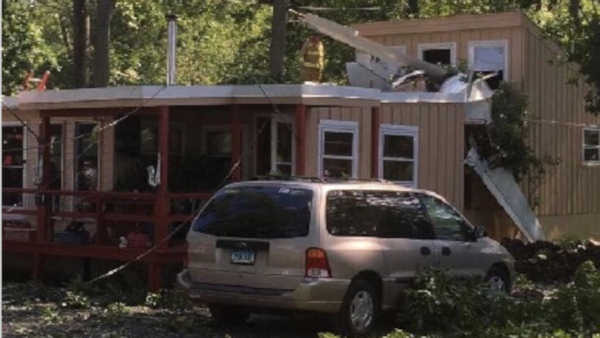 HADAAM, Connecticut (WABC) -- Authorities say the pilot of a single-engine airplane was seriously injured when the plane crashed into a home in Connecticut. State police say it happened around 4 p.m. Saturday near Eagle Landing State Park in Haddam. The plane's sole occupant, 46-year-old Benjamin Temple of East Rockaway, New York, was injured. There were no reports of injuries to the homeowner or anyone on the ground. The pilot was extricated by passersby who witnessed the crash, authorities said. Haddam firefighters and East Haddam Ambulance personnel helped remove the pilot from the second story of the home. The homeowner was home at the time and was not injured.